Lyn Twyman Welcomes Portia Shipman to Courage Empowerment Forum! 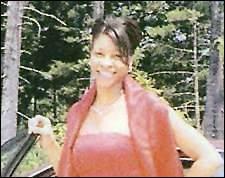 The young life of Sherri Denese Jackson was cut short in late 2006 at the age of 27. Four years later, her memory lives on. In this week’s episode of Lyn Twyman’s Courage Empowerment Forum, her featured guest will be Portia Shipman, founder and executive director of the Sherri Denese Jackson Foundation (SDJF). SDJF is an organization that serves domestic violence victims in Greensboro, NC. This show will discuss the life of Sherri Jackson, a murder victim of domestic violence, and what SDJF is doing in their local community to help survivors not become victims. Tune in Tuesday, December 28th at 9 PM eastern for this great interview! Previous Post“Casino” Actor, Craig Vincent Visits With Vito Colucci on Crime Time!